With a glass of Champagne in hand, everyone got a moment to recover and shake hands. No less than 22 nationalities came together. Members of the WTC Amsterdam Business Club where also present to represent our beautiful city, as well as the economical and social diversity as a metropole region. 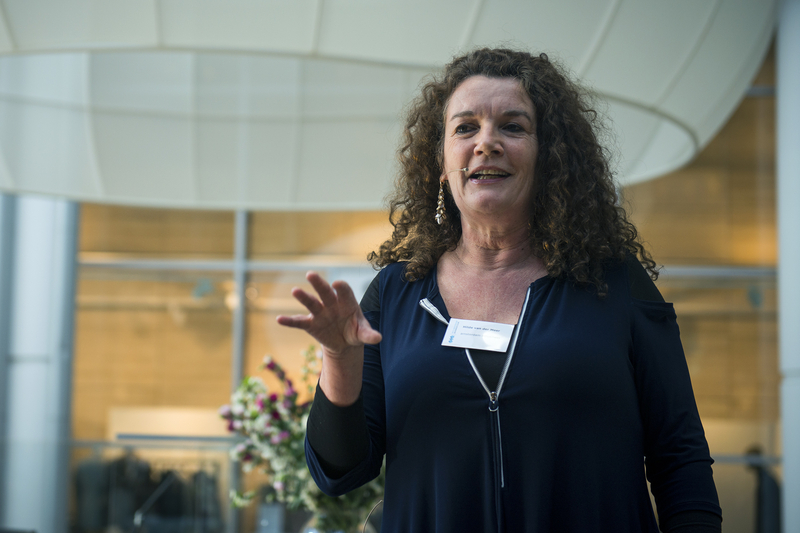 As a proud host, Christiaan Huijg kicked off and introduced Hilde van der Meer, managing director of amsterdam inbusiness. She spoke about The Metropole Region Amsterdam (MRA), which is one of the top five economically strong regions of Europe! 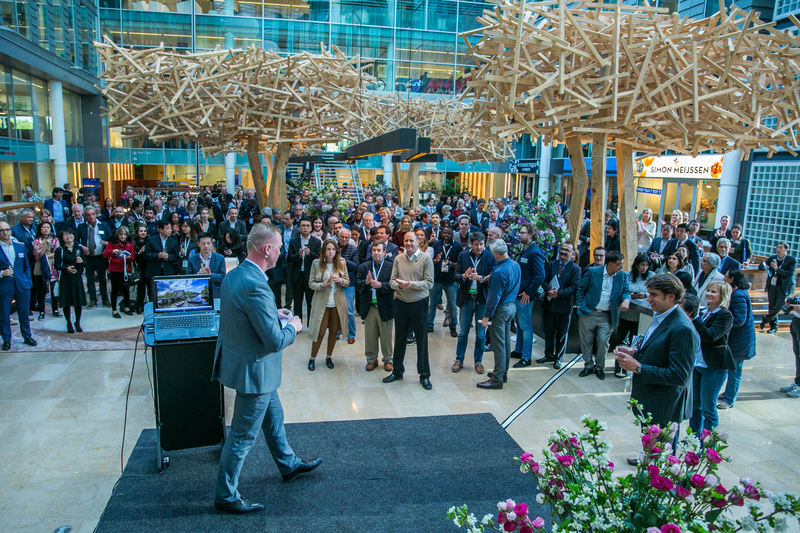 After a nice introduction about Amsterdam key note speaker Coen van Oostrom, CEO OVG Real Estate, gave us an interesting insight of ‘The Edge’, one of the most sustainable and smartest office buildings of the world! 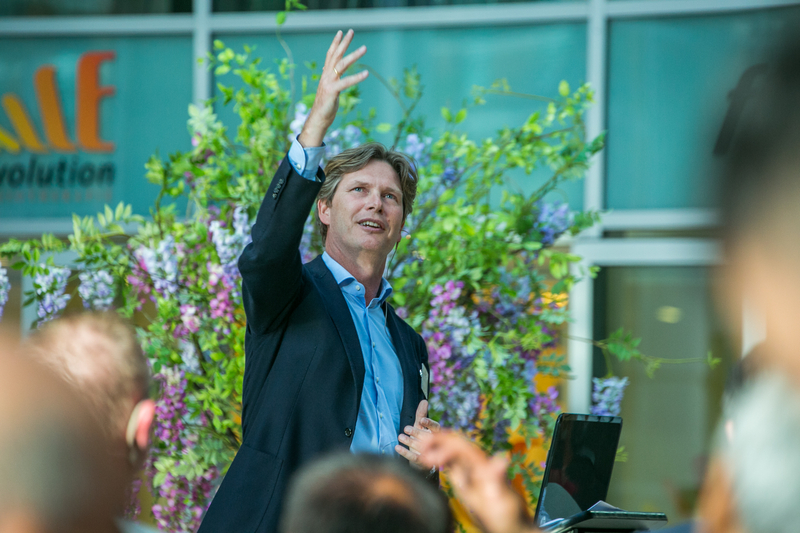 Van Oostrom, who wasn’t shy on namedropping with collaborations with Vice-President Al Gore and President Bill Clinton, builds his vision on four pillars: Sustainablilty, to bring more energy than we take. Well-being, body mind & soul interwined with the environment. Community, to collect data which is designed around the user. Smart, the data we collect as a driver. Time to relax and unwind. While everyone could enjoy a snack and a drink, the duo Steven and Samiraprovided the musical accompaniment during this special get-together. As you know, music brings people closer together. And so it was no different during this beautiful conclusion of the General Assembly 2018. Next year the conference will be held in Mexico. We are open and ready to be amazed, as we hopefully may have done in Amsterdam.